﻿Parents may call the school office to schedule a tour with the director. Students are welcome to accompany parents at this visit. If the school is a possible fit for both parties, you will be invited to enroll online. After the tour and application are completed, an entrance exam and brief interview (first grade and higher) can be scheduled as the third and final step. 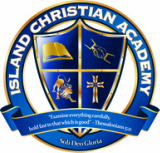 Once we determine your student would be able to flourish academically and socially at ICA, you will receive notification of acceptance. Once all of the necessary documents are submitted, you are ready for the first day of school!